I finally got a few photos of my fountain pen from Belgium! This is going to be the longest week of waif ever! 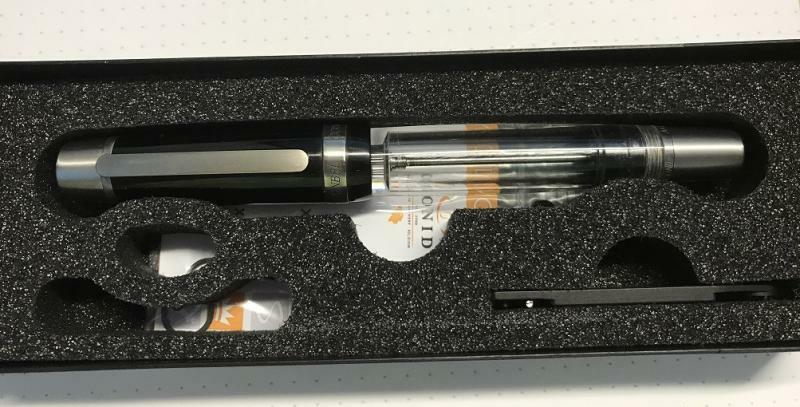 Mine should be shipped next week, per Conid. Waiting on mine. Was supposed to have been a few weeks ago, but they had an issue with the plating and it was delayed, hoping to hear soon. Yes, on some models you can get some of the Titanium that is gold plated. I am waiting on a Regular, Ebonite Pantera de Oro (all black with gold trim). Ah, the wait on customs is grueling --but you'll quickly forget the wait once you finally receive that white 'Conid' envelope! Yup, it was certainly frustrating. But happy to say the pen has arrived safe and sound. It also works wonderfully for the past 2 weeks. There is some extra grease that was stuck behind the pistol o-ring which got stained... will probably had to open the pen up and clean it. but other wise, I really do love the pen, the Titanium nib writes smooth and wet, and the pen is perfectly balanced in my hand when capped. Edited by Innosint, 17 June 2017 - 20:08. My Conid was held by DHL, but they didn't notify me that duties was due on it. I had to call DHL and check to find out that it was waiting on duties/tax and paid for it. Congrats guys and hope new pen day arrives very soon for you. Looks like a wonderful pen. Too bad they will not sell to resellers in the US. I expect they just don't have the volume in making them. Edited by SpecTP, 28 June 2017 - 16:21. Wow, very cool. Honestly I thought CAISO was a little over rated at first --but once I got mine I realized it's fantastic. 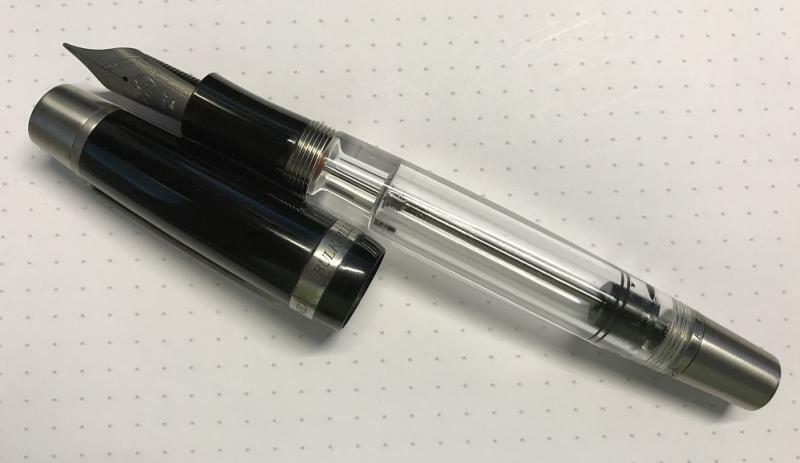 Perfect amount of ink flow and I never ever have to mess with the blind cap (unless filling of course). Very Nice, I have never tried a CASIO, maybe next time (if they show up on the website again ). How do you like the titanium #8 nibs? When i eventually get around to ordering another Conid, i want to get a titanium nib or two for my Kingsize. I wholeheartedly recommend the titanium #8 nibs. --They are relatively inexpensive. You can basically get two for the price of one gold. I'd recommend maybe getting a couple of widths to play with if possible. I tend to never settle on a specific nib size so it worked out well that I had some options at my disposal. Considering a Conid order takes time to create and has to be shipped from overseas (to the US anyway), I just decided to go "all in" and ordered a handful of nib options from the get go. --In my experience with the #8, they sit somewhere between gold and steel in terms of flex or softness. I tend to write a little heavy-handed so they work well for me. --For reasons unclear to me, I found the medium or broad to be more flexible or soft than the fine. I don't see why there should be a difference but there seems to be. Could be as simple as nuances in the manufacturing process, so take that with a grain of salt. --Also note that I have a couple of #6 titanium as well and I find that the #8 don't flex quite as much in general. The #6 have a reputation for being almost bona fide "flex nibs" but I don't find that the case with the #8. As mentioned above, I tend to write a little heavy-handed and I don't need to be "careful" with the #8 titanium at all. --The gold are nice too. Of my other pens I'd say the #8 Bock 18K gold reminds me most of the Pelikan M1000. Which is to say they're fairly soft and springy. 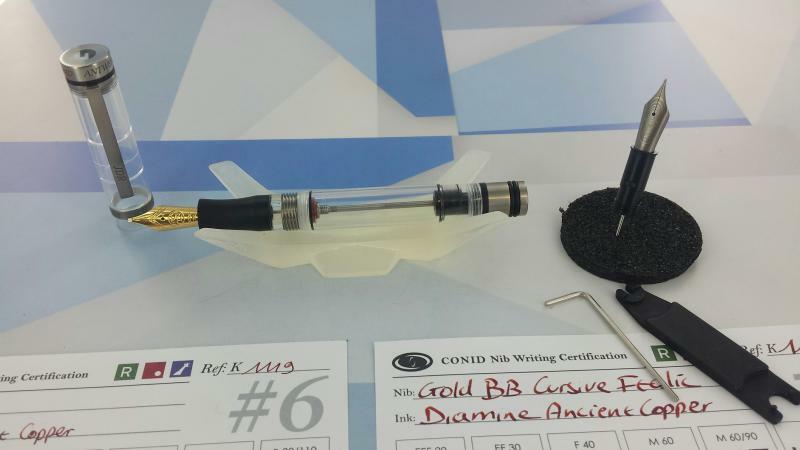 My first Conid was a king size and I ordered it with the gold nib. Something about it never set with me. Almost sold it but decided to try the titanium nib first. Made a world of difference, My other Conid (a regular) wears a titanium in a broad stub and it is spectacular. 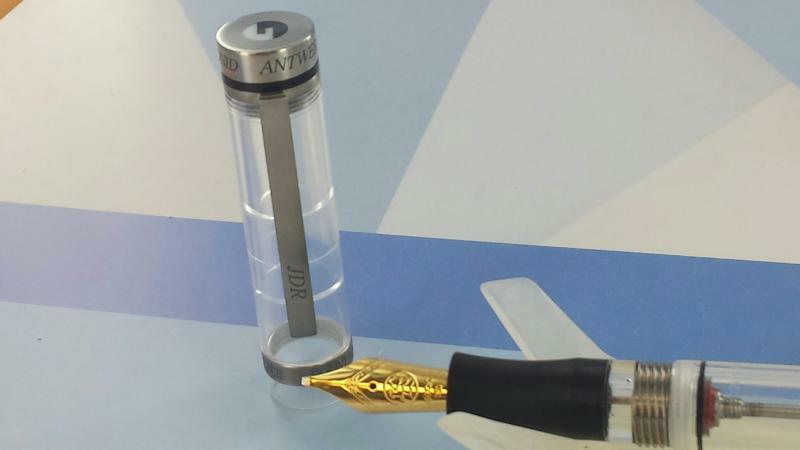 I should have also mentioned that the gold nibs are very wet writers, whereas the titanium are not so much. I am still trying to figure these 380s out. I have two Ti fines and two golds, a rhodinated M italic and a plain broad italic. Both Ti nibs have a really nice feel, but one is wetter than the other. They also differ in width, with one being closer to M and the other a standard Euro fine. The finer/drier Ti is one of my favorite nibs. Feels, flows and writes great with any ink! The gold 380s are fussier. My M italic was ground by a nibmeister (not Conid) and is in a Newton pen. I am not overly fond of the grind (not enough line variation) but the wetness is perfect for my tastes. Plays well with lots of inks. In contrast, the B italic in a Caiso is nicely ground but very wet, too much so for me. In fact, it has gone back for service because of hyper flow. It is better now, but inks like Ancient Copper still gush a bit. As suggested by a previous poster, MB Oyster Grey is a good match for this nib. I am beginning to think the 380s have individual personalities. What's The Most Beautiful Pen You Own?